A group of my friends decided we'd do 4 ATC swaps last year, one for each season & place them in a 7 GYPSIES Artist Printer's Tray. 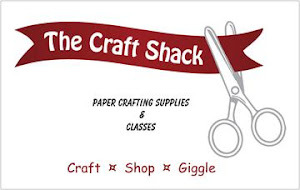 This is my ATC for the summer swap which is the 2nd in the series. For the colors, we selected SU Daffodil Delight, Mellon Mambo, Old Olive, Pacific Point, Real Red and Whisper White. We could use all or some of the colors & optional neutral accent colors. 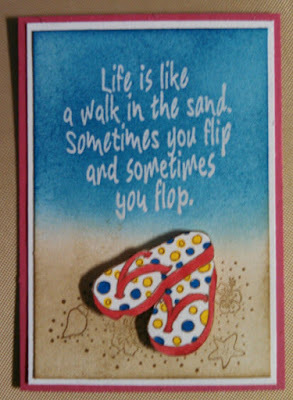 I heat embossed the sentiment, A Walk in the Sand by Great Impressions, using WOW Clear Embossing Powder on Whisper White. Then I sponged Pacific Point ink at the top & Crumb Cake ink on the bottom, blending them together in the middle. Using a tissue, I wiped the ink off the embossed sentiment. 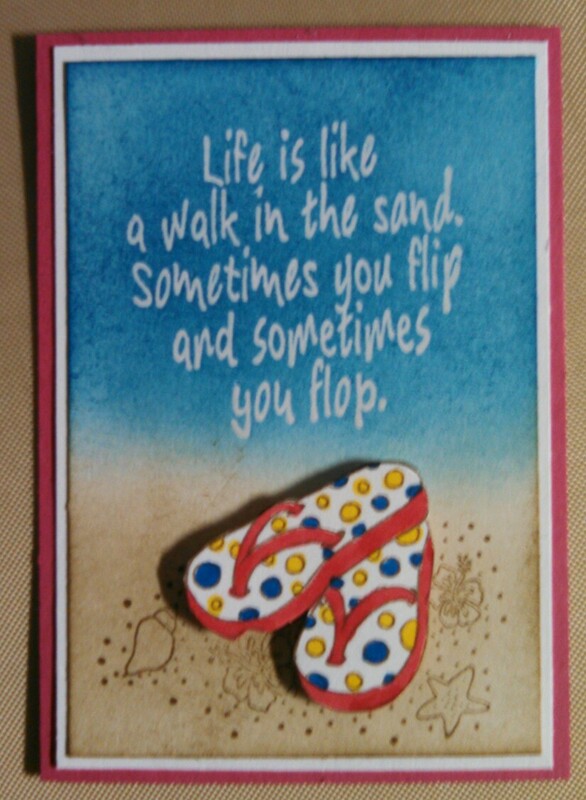 On the bottom of the card, I stamped Flip Flops & Sea Shells by Great Impressions in Crumb Cake then stamped it again on Whisper White. I colored the flip flops using the Daffodil Delight, Pacific Point & Real Red then fussy cut them out & used dimensionals to pop them up.